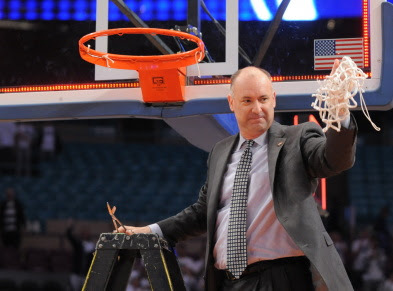 Ed DeChellis is leaving Happy Valley to becaome the head coach at Navy. This is a stunner. DeChellis was under contract until the 2014 season and Penn State is coming off their first NCAA tournament appearance in 10 years. DeChellis will also me making $200,000 less at Navy. While Penn State is not the basketball mecca we want it to be, Navy is a downgrade. I have bashed DeChellis in the past from a basketball standpoint, but DeChellis is a good man and I wish him the best at Navy. The Penn State basketball program is in better shape today than it was before DeChellis. The timing couldn't be worse for PSU AD Tim Curley. Good luck finding a replacement this late in the game. The team is in a full rebuiling mode and a very long season awaits.